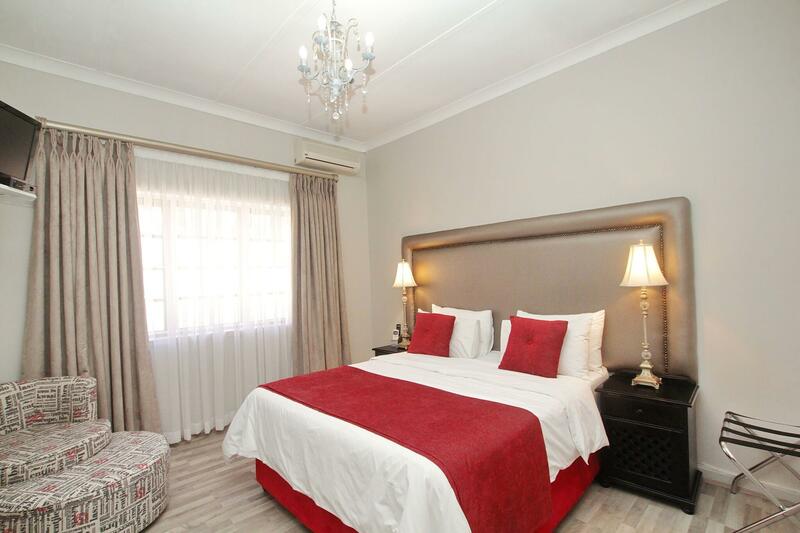 ﻿ 33 on First Guesthouse Johannesburg. JIMAT di Agoda.com! Ada soalan mengenai 33 on First Guesthouse? Terletak pada kedudukan yang baik di kawasan bisnes, beli-belah, restoran di bandar Johannesburg, 33 on First Guesthouse menyediakan tempat yang paling sesuai untuk anda berehat seketika dari kesibukan hari anda. Pusat bandar hanya 20.0 km jauhnya dan boleh sampai ke lapangan terbang dalam tempoh 45 minit. Dengan tarikan utama di bandar ini seperti Meldene Medical Centre, Razorite Melville Medical Centre, UJ Art Gallery berada pada jarak yang dekat, pengunjung hotel pasti akan menyukai lokasinya. 33 on First Guesthouse menawarkan perkhidmatan yang sempurna dan semua kemudahan penting untuk menceriakan pelancong. Semasa menginap di penginapan yang indah ini, tetamu boleh menikmati Wi-Fi percuma semua bilik, meja depan 24 jam, Wi-Fi di tempat awam, tempat letak kereta, pengangkutan lapangan terbang. Masuklah ke salah satu dari 6 bilik tetamu kami dan tenangkan hati anda dengan pelbagai kemudahan seperti televisyen skrin rata, linen, cermin, tuala, almari yang boleh didapati di beberapa bilik terpilih. Kemudahan rekreasi hotel, yang termasuk seperti padang golf (dalam jarak 3 km) , kolam renang terbuka, rumah urut, taman direka untuk anda melarikan diri dari masalah dan bersantai. Apapun alasan anda untuk melawat Johannesburg, 33 on First Guesthouse adalah tempat yang sempurna untuk percutian yang menyeronokkan dan menarik. 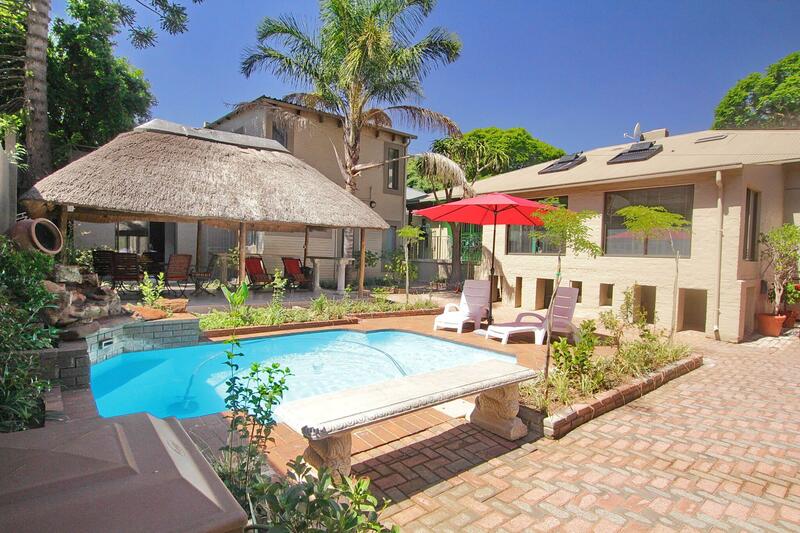 Lovely spot in Johannesburg very exclusive and reserved! Perfect spot to relax and enjoy tranquility. The hosts are very accommodative and friendly. Will definitely be back. Great guest house, very quiet neibourghoud and the manager is perfect! Its got a very friendly James. Good place to stay. 33 on First guest house is more than a guest house. We feel like we are staying at our home. The owner is very friendly, nice and offer very good services for us. We booked 2 days tour with them and they accompanied us whole 2 days with extremely good services and information of Jo'berg. Jo'berg is not safe city but we feel safe when staying with 33 on first like having a bodyguards. Also, the place is very clean, cool and stylish. It is also near restaurant on 7th street. We absolutely will come to this guest house if we are back to Jo'berg again. Highly recommended!!!!! The guesthouse is great! James on reception is extremely helpful and kind. We had a few problems with our tour pick up for Kruger and James phoned the company and sorted it all out for us! The breakfast is yummy! A range of cereal with a cooked breakfast of bacon with a choice of eggs. Kettle in the room with lots of tea and coffee. 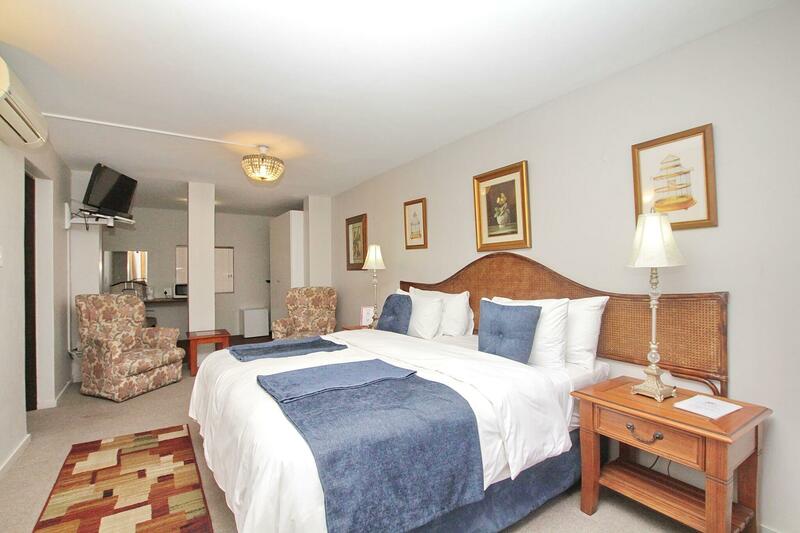 The rooms are very comfy and extremely clean! Bathroom has complimentary toiletries. As we used the room for a couple of days rest before Kruger Park the cable TV and extremely comfy bed was brilliant. Overall a fantastic stay. Guesthouse near University of Johannesburg. Also near good restaurant area. Excellent breakfast. Nice garden with small pool. Wifi in room. 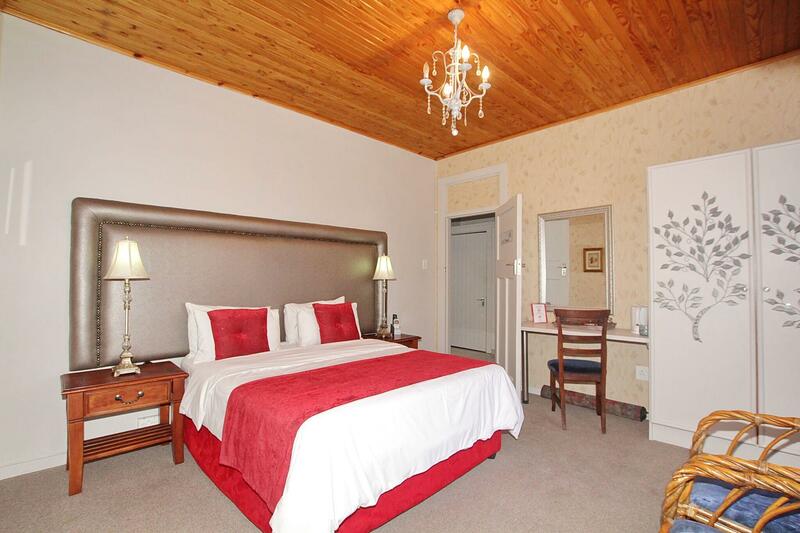 Comfort and privacy of your own room even in a B&B setting. Johan was exceptionally polite and very helpful at all times. Nice little B+B guesthouse close to University of Johannesburg. Only one restaurant close by. Good service, free internet. Good value for momney. Safe asrea. Bit annoying to have to ring for admittance as we only had a NZ cell phone so the call was quite expensive, but Johan arrived within minutes and was very helpful. I was able to use the internet there & he gave us a good rundown on local restaurants. The room was very well supplied with tea/coffee, milk. even biscuits and the bathroom contained everything you could want. We had a very early pickup next morning & the tariff included breakfast but no-one offered a takeaway version. I would recommend this as a secure, comfortable place to stay in a rather dangerous city. Garden + Breakfast + Many Multi Languages Sat. Channels T.V. LOC. :Main entr.of calm rich dist.“Melville”(Auckland Park)5km D.T.& Complex(Rail+ Intercity Bus+ Local Bus+ Mini Bus+ Red City Tour Bus)Park St.= By: Expens. listed M.Taxi= R120/ Tuk Tuk= R40/ Local Rea Vaya Bus#T3= R13 until “UJ Sophia Town RS”St.away 0.5km/ Limited local MetroBus(#67)= R6 approx./ Mini Bus= R8… Airport: 24km go to Park St. then use“GauTrain”= R135… Pretoria/ Sandton: GauTrain w.R50/40 approx.or use cheap limited Tr.= R20:10… Soweto:Rea Vaya bus#T3 and change to#? ?/ R13 or Mini bus from D.T.= R12… Semi Famous 7th. Str./0.8km W.\v.little rest.+ shop: stay around hotel In “Main” Rd. walk in 2 opposite direc. will have many & 2 shop. Malls specially “Campus Square” will have fun& cheap things... ROOM: V.big + Bed Comf+ clean daily+ luxury w./ G.decorated+ Big wind. W./bars+ sit. A.+ Include everything(Except Safe)can put belongs in recep. : A.C.+ S. Ref.+ 32” flat T.V. w. many Sat. Ch.& 1ch. For each Lang.… BATH: V.G.+ med. Size+ Excell. Toiletries + perfume w./hot W.+ without/ elect. socket(I think this is the sys.in RSA)… But, the best thing Tea/Coff. KETTLE w. every day: many qty. of tea+ Coff+ sugar+ liquid milk plus Biscuits + welcoming Chocolate!... HOTEL: Fantastic botanical garden w. many covered big sun deck+ S.P.+ enough park inside+ neat deco. Luxury Rest.& Lounge+ safe gate+ library+ tours+ semi Common Kitch.& 24h many qty. of Tea+ Herbals+ Coff.+ sugar+ milk… But, the semi bad thing: 1 P.C.+ Net in lob. Against FEE (R25/6hr./15MB)... B.R. : Neat + Excel. (07:0–09:0/10:0)contains: Diff eggs+ (Meats+ mushroom+ beans+ vegt.) + open buffet (Toast+ bread+ croissant+ muffin/ jam+ butter+ sauces/ fresh juice+ mixed fruit salad/ yogurt+ milk+ cornflakes)... STAFF: Maybe the owner w. some slight nervous but, He is straight honest good man & helpful+ his assistances are v. good & love hotel+ semi 24/7... CONCLUSION: Hotel more than excellent but, the problem for tourists& foreigners& (some locals): No import. attractions & no safe in C.C. Great place,enjoyed our stay.Unfortunately the rooms are inside the house and this was not specified.But overall great experience and we definetly enjoyed our stay there. a cheap but clean and friendly guesthouse with reasonable breakfast. Close to University of Johannesburg campus. No free internet. Good value for money. Arriving in Johannesburg, this place was was well located and clean. only sytayed here a night before heading elsewhere. 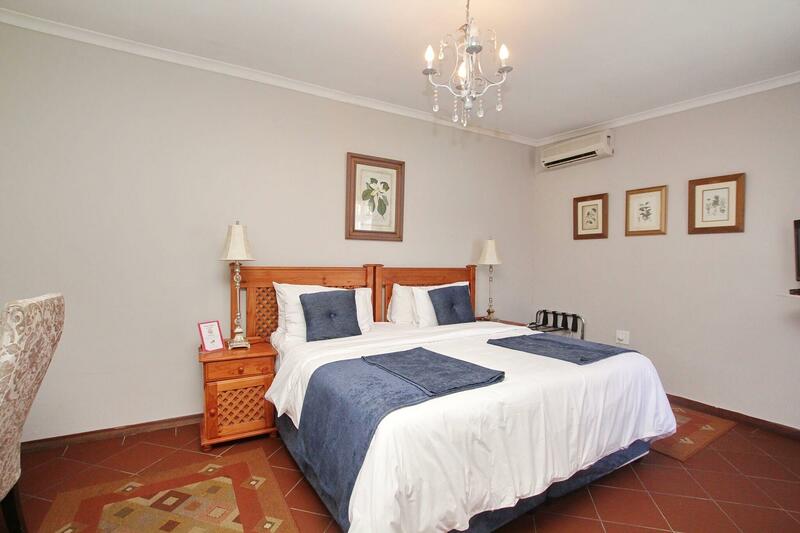 A nice little B&B, just outside the CBD, in a pretty safe neighbourhood. The staff were friendly and helpful and the breakfast was tasty. Secure parking was a bonus, but it was limited (2 proper spaces in total). The only down side was that internet was not included in the price and guests have to pay extra. I know SA has expensive internet, but it's frustrating not to have ANY free internet included in the price. P E R F E K T ! ! ! ...ein familiäres Gästehaus mit supernetten, hilfsbereiten Personal und gemütlichen Zimmerchen. Bei Fragen und Problemchen wendet man sich einfach an Johann - er erklärt, berät, organisiert und gibt Tips. Das Gästehaus hat eine gute Lage - Einkaufsmöglichkeiten, sehr gute Resaurants, Bars und Cafes und Geldautomaten sind in unmittelbarer Nähe. Alles andere ist schnell und preiswert per Taxi zu erreichen (...einfach Johann nach einem Fahrer fragen! Der Fahrer holt einen auch an entsprechender Stelle wieder ab). Falls es uns mal wieder nach Johannesburg verschlagen sollte, werden wir mit Sicherheit wieder im "33 on First Guesthouse" übernachten. Gute Lage in Melville nahe Universität von Johannesburg. Nahe der M2. Zimmer sind geräumig, free TV aber Internet kostenpflichtig und teuer. Frühstück traditionell aber ok.
O anfitrião é de poucas palavras, mas muito e muito educado. A localização é excelente, próximo à shoppings, supermercados, lojas, restaurantes, etc. Facil acesso ao Lions Park e Hino e Lion park. Quarto agradável!